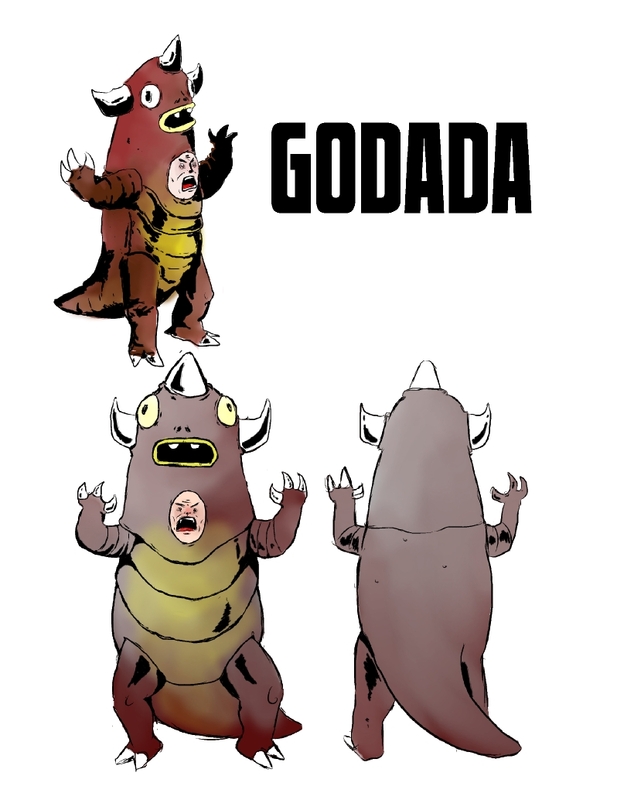 Godada is a giant two faced monster from parts unknown. He has three massive horns that can deal massive damage, and can shoot energy beams out of his mid body face. His body is covered in a dense shell making him quite slow and very heavy. Godada has no real control of his body due to the second face also because of its location he cannot use his vocal chords. Godada's kaiju face seems often sad or dazed while the second face is angry and full of rage.